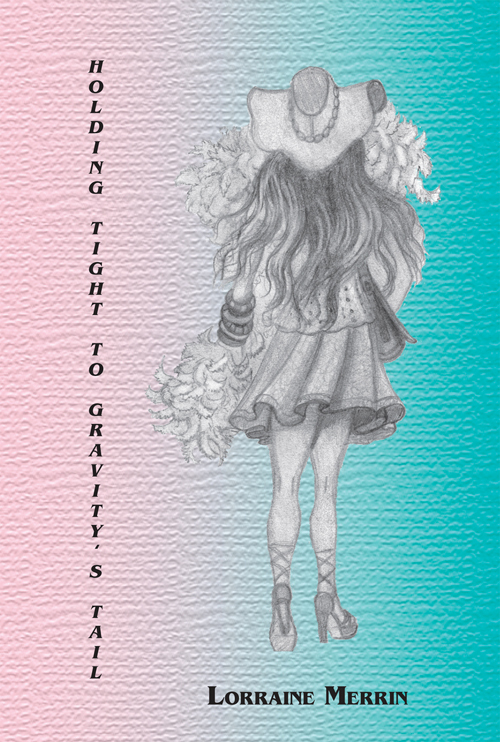 Lorraine Merrin’s new poetry collection, "Holding Tight To Gravity’s Tail", is a collection of 109 poems about real people living in, surviving in, a real world that often seems as cruel as it is beautiful. The book includes original artwork illustrating selected poems. “Holding Tight To Gravity’s Tail displays Lorraine Merrin’s fine abilities to transform emotion and turning-point experience into art. Here, elements of story and song merge in a unique voice, one that deftly explores shared aspects of the individual and the universal.” —Ruth Holzer, author of "The First Hundred Years" and "The Solitude of Cities"
“This is a book for warriors who lead with their hearts; a book for travelers who know the importance of good companions on the journey. The voices in Lorraine Merrin’s well-crafted poems are just those kinds of companions. They are veterans of fierce battles— inside their own skins as well as outside them— and they offer sharp photographs of the journey. You will suspect they ‘[hold] the wisdom of civilizations/across the universe, [know] answers/to questions not yet conceived.’” —Mary H. Ber, MA, MWS, Cofounder of Moon Journal Press, Editor of "Moon Journal"